Everyone is looking into better ways to run a business. Doing business in a way that is good for the environment is being promoted in the news daily. Everyone wants to do their part in improving the environment in what ever way they can. Environmental friendly methods of running a hotel is becoming more and more popular lately. This change will require some investment of time and finances, but in the long run will prove very beneficial to your hotel and improve business. Here are a few tips to help you begin your journey on making your hotel green and environmental friendly. The most common and efficient method used comes with eliminating any extra operational waste by products. Paper accumulates in business use. Paper is always thrown away. Old filings, logs, registries and receipts all accumulate over time. For example, use computers and electronic formatting for intra business transactions. Record keeping and guest management can all be done electronically. Upgrade your business system to include electronic reservations and paperless check out options. Don’t print receipts, pay stubs, restaurant menus or brochures without need. These things contribute to paper waste. Get a consultation on how to minimize your environmental footprint. There is loads of advice available on how to conserve and make use of thermal management systems. You can have a business come and asses how green your hotel operation is. Then, they can help you in determining which type is best for you, if it is an option for you to incorporate solar power into your hotel and even bathroom fixtures that may help your hotel conserve water use. You can always solicit the help of your guests. People are more mindful of the environment more than ever. You can ask your guests to do things like recycle, provide environment facts and ask them to help keep the hotel clean and organized by doing their small part. Make your valued guests feel like it is a team effort in keeping your hotel green and environmentally friendly. Use your networking abilities to increase your brand power and image by combining with other like minded local businesses that have ambitions of going green. There are some tour operations and travel agencies that are going green. Form a partnership with these agencies. This will give your brand added exposure with the people who use that travel agency or tour operations’ services. Double check these agencies to ensure that the business is an certified observer like EC3. Solidify your commitment to doing the environment some good. 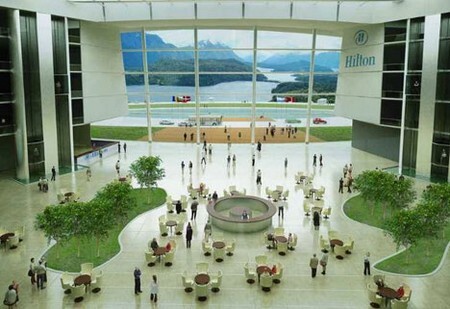 You can do this by registering your hotel with an organization like Green Global International.